Well done to Security Supervisor Andrew Finn for tracking and apprehending a remote jamming team. 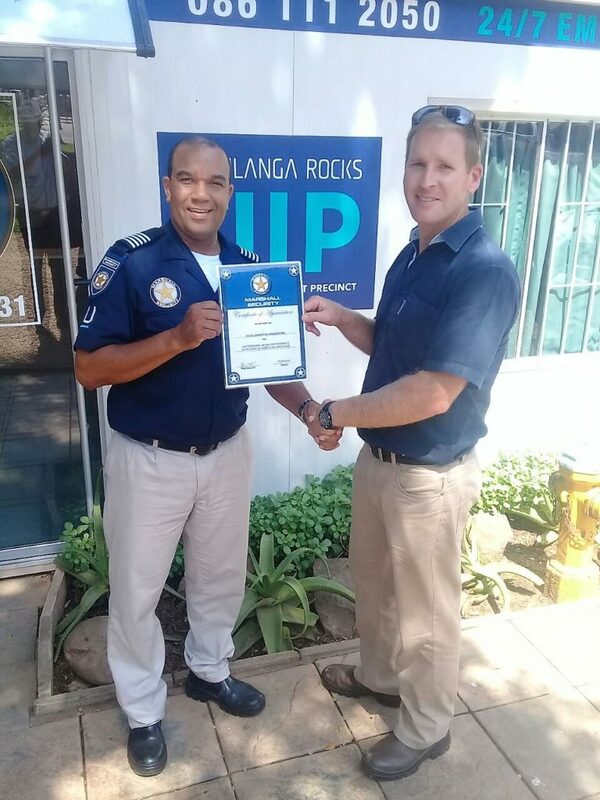 Over the the festive season the uMhlanga UIP security team have been keeping watch after a few remote jamming incidents were reported and have made it their top priority to track down the suspects. Thank you Andrew, Barry and the Marshall team for ensuring the safety of uMhlanga.